Craig T. Ort is a full-time licensed REALTOR® who combines his expertise of the local area with his passion for the latest technology. To serve his clients in their home buying and selling journey, he brings a strategic yet personable approach to the process. As a lifelong resident, Craig has been representing buyers and sellers in the Hunterdon, Somerset and Warren Counties on a day-to-day basis since 2004. Client's who choose to work with Craig are quick to praise his prompt and focused assistance, his attention to detail, knowledge and caring service that goes above and beyond the call of duty. Craig has been the recipient of the New Jersey Association of Realtors esteemed Circle of Excellence Sales Award for the 13th year in a row which honors his outstanding service, high principals and unparalleled dedication to his clients. In his highly focused search of matching home buyers with their dream home and helping sellers get the most value for their home, Craig sold on average 1 house every 9 days in 2016. Rated among the Top 50 Agents nationwide for the second year in a row and International Presidents Circle / Top 6% of agents internationally, Craig shines when it comes to providing committed customer service and attention to detail. Prior to this, in 2015, Craig was also celebrated as International Diamond Society's top 11% of agents internationally. When should I buy? Where should I buy? What area is best for my family? What location should a young up-and-comer choose to be centrally located to all the action? How can I really make sure I’m getting a good deal? If you are new to the area or searching property from out of town, there are sure to be an endless parade of questions in the home buying process. 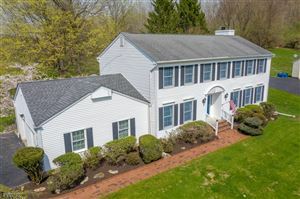 There’s no place else on earth quite like the Hunterdon, Somerset and Warren Counties and owning property here is one of the great privileges of life. As an agent who's an expert in the local area, Craig has all the answers to your questions. Once you are done picking his brain, there will be no doubt left where you will want to plant your roots. He has all the insider information and will do so in a refreshingly open and honest way. Craig prides his success in his ability to listen intently to his clients' needs and match them with the answers and expertise that best match their individual needs. Boasting unsurpassed experience in the real estate industry and deep roots in community, Craig excels in navigating the complicated terrain of home selling tactics and discovering that dream property that will welcome you home. Specializing in all aspects of real estate, Craig is ready and willing to serve his clients' in finding the perfect fit, whether apartment, home or investment property. His goal is a smooth and stress-free home-buying journey that ultimately matches his client with the home they desire for the price and terms they want. Craig is a highly motivated Sales Associate who enjoys using the latest technology to ensure an organized and efficient transaction. With a goal of marketing your home so you receive the best return for your investment, he will guide you through the process with knowledgeable suggestions and answers. Possessing a professional insight on prime home selling tactics, Craig is an excellent consultant on ways to market a home for immediate interest from buyers, from home staging to making repairs or minor improvements that garner his clients' the most bang for their buck. "We highly recommend Craig! He made the whole process so easy! From the day he came to talk to us pre sale to the day we were given the keys to our new home he was present in every way possible!" "Craig was patient and extremely wonderful to work with. We were long-distance owners and sometimes he was the only link to our NJ property. He has gone above and beyond to sell our home in a weak market. We decided to renew with him because he was consistent in his communication, took new pictures when we decided to paint the house, and generally was the best realtor either of us ever worked with...especially if you are 1200 miles away!" "Craig is absolutely the best!!! We have used him for one "buy" transaction and two "sell" transactions over the last few years. In all cases he did a totally outstanding job..none better!! We made the mistake of listing our townhouse for sale with another agent who messed it up totally...it languished on the market for six (6) months without one offer!!! Once the listing expired we listed with Craig who sold it in only 30 days!! Amazing!! Not all agents are alike in spite of what people may say, and forget about this nonsense of selling over the internet.. It takes a person who knows the area, knows property values and brings a big dose of knowledge and respect to the table!! Craig is the absolute best!!! " "My experience selling my townhouse with Craig Ort was excellent. When I put my property up for sale Craig thoroughly explained the process of selling my home. Moving is always a stressful time but he made it easier! He was extremely knowledgeable about real estate sales, the market and the area I live. He was always professional and available to discuss any and all issues regarding the sale of my home. At the time I put my townhouse up for sale I was recovering from a major surgery. I was limited in my mobility and Craig went out of his way to help me prepare my home to be put on the market as well as help pack. I remember him even going to pick up boxes, packing paper and tape from the movers for me! I cannot say enough about Craig! He is highly motivated and would recommend using his services!" "When I contacted Craig to list my townhome, It was done in such a professional immediate manner. I couldn't believe the brochure that was printed with the pictures of my home. It was beautiful!! Every showing that I had, Craig always e-mailed me with the comments of the potential buyer. My townhome sold and the closing process was as smooth as ever. Craig assisted me with correcting any deficiencies that were found during the house inspection and also helped me with replacing smoke and fire detectors. I have since recommended Craig to friends interested in selling and buying a home." "Craig Ort is absolutely the realtor you want, if you are looking for the utmost in professionalism, courtesy, expediency, knowledge of the real estate industry, thoroughness, initiative, proficiency, and accessibility. I relied more on Craig than I did any other professional engaged in the process of selling our residence, and it was clear from the onset that we could trust him implicitly. He is accurate, precise, detail oriented and 300% all in! We hold Craig in the highest esteem, and only regret that in many other industries, we will not see the likes of his level of proficiency, professionalism and just flat-out friendliness. Craig handled the process and sale seamlessly, and our condo sold much faster than the many similar units that populated the market at the same time. I highly recommend Craig Ort to the highest level, and would entrust only him to handle any fu"
"To say that Craig went above and beyond for me is an incredible understatement! He is professional, courteous, knowledgeable and fair. I was out of town while my house was for sale. Craig mediated and interceded during crucial moments and sold my home in under 30 days!" "Craig is hands down the best realtor I have ever worked with. Attention to detail; immediate responses to texts and emails; and a deep understanding of the market. We now consider him a good friend. We put the house on the market on a Monday. By the following Saturday we had multiple offers. With Craig's invaluable help we were able to close in less than 2 months." "I met Craig when I was considering renting a home due to an impending divorce, he was the listing agent for the home I was interested in. He was polite, extremely helpful, and showed me many places over the following weeks. Ultimately I decided that purchasing was a better option, and Craig smoothly made the transition from looking for rental properties to purchasing one. He took me to a lovely community that I had not been aware of, and with luck and a lot of patience, we found an adorable place with a spectacular view. Craig was always on time, very professional, and I felt that he had my best interest at heart. We worked together for months before closing just last week. I would highly recommend Craig for any and all of your real estate needs. He is a rare find, and made the difficult process of finding a new home easier. Best. Realtor. Ever." "As an out of state seller, Craig Ort made the entire process seamless. He is an excellent agent, selling my property and was there every step of the way, answering all questions, advising and making great recommendations and even did all the leg work. I highly recommend him!" "Craig possesses the entire package of what you want in a realtor. Knowledgeable, Accessible, Personable, Valuable. Craig approaches every residence like he was the one living there and focuses on delivering whatever the buyer/seller needs to feel comfortable and most importantly, at home. In a recent experience with Craig, he facilitated inspections, lawyer communications, and went and purchased an updated fire extinguisher at the last minute so a certificate of occupancy could be obtained Craig is always a ready resource so you never go through either buying or selling alone"
"Craig is a pleasure to work with. I was glad I put my trust in him with both the sale of my home and the purchase of my new home. Craig is an expert in the location I was seeking and answered all of my questions regarding the home and area. He returned all phone calls promptly and assisted me every step of the way with negotiating, submitting timely documents, explaining requirements, etc. Craig is a true professional and always has a positive outlook." "Craig Ort is by far the best real estate agent I have ever known. He has incredible attention to detail, excellent follow-through, and is extremely kind and personable. I would highly recommend him to anyone, and it was a real pleasure working with him. Robert Smith Clinton, NJ"
"Craig was a pleasure to deal with. He was very knowledgeable and was alweays in contact with us. I would recommend Craig to anyone who wants to sell fast! He is the BEST in the area!!" "Craig was a real pleasure to work with. I reside 200+ miles from the home I was selling, which could have been a real nightmare situation for me, but, it wasn't because Craig made it all so easy by keeping me informed every step of the way. done, He helped with most of the details of what needed to be done and whom to contact, and, when another realtor was showing the house, he made a point of coming later to check that the lights were shut off, things were in order and that the house was locked. This gave me total piece of mind. He is unbelievably responsive when you contact him. I can't imagine anyone doing a better job for his clients!" "Craig services his clients at a level that surpasses all agents with whom I have ever worked. It was an especially difficult sale, as I was out of state, and he watched over the property in every way. He facilitated and assisted in all and every step to make sure the home was well presented and the sale closed on time. He is the best." "Simply put, Craig was incredible. We started our relationship with a rental property and inevitably ended up selling. From start to finish, Craig was utterly professional and helpful. This was a complicated sale he handled it with diligence and care. I cannot say enough good things about Craig Ort"
"We went through an interview process to make our decision to use Craig as our Realtor. He knew our neighborhood inside and out. He was able to make recommendations for preparing our house for sale and made suggestions that would enhance our property. I was out of town much of the time, and Craig really went above and beyond the call of duty to care for our home during our absence. His ability to present our house through photos and marketing was extremely well done. If I had another property to buy or sell in Hunterdon County, I would not hesitate to choose him as our Realtor of choice." "Craig went above and beyond for us in the sale of our home. He presented and photographed it beautifully so that we had an offer within a day of listing. More importantly, he led us through the sticky end of contract days when home inspection and township issues could have caused major delays." "Craig Ort far exceeded expectations of performance. Within 2 weeks our house was sold at our asking price. He kept us well informed during the process that followed. I recommend Craig to anyone who seeks professionalism within the real estate industry." "Where do you begin when you describe perfection? Craig is knowledgable, forthcoming, reliable beyond words, expert, patient, realistic, supportive and above all patient. Craig went above and beyond to help us successfully sell our condo and find a new home. Each time we asked Craig to help with something he had either already done it for us or turned the request around at light speed. We honestly feel we could not have chosen a better realtor to help us sell our home." "Craig Ort, was the most professional, patient, helpful, honest, responsive person that we dealt with for our home purchase. Craig helped us buy our first house. As this was the first time my girlfriend and I had purchased any real estate, we had tons of questions, Craig was there to answer every single one. Most of the time Craig called us right away, picked up the phone, or emailed us back within minutes. He was knowledgeable regarding about every aspect of purchasing the home. He prepared us for what to expect while searching for the home and he helped us figure out what we really wanted, (I think he knew what we wanted before we did!) When we did come across the home we loved, Craig went over the comps for the neighborhood, and helped us come put together an offer, he thoroughly explained how it worked and what would happen over the next couple days. Craig was patient and answered every call in the time that seemed like an eternity while we waited to hear back from the seller." "Craig Ort is by far one of the best realtors we have ever experienced! He helped us sell our home and buy another. He sold our home within a week of listing it. His expertise goes beyond the sale of the home. He was knowledgable in every aspect of a home, with thorough knowledge of septic and every other system! Craig is extremely attentive and returns calls/emails within minutes. We would highly recommend him!to family and friends!" "Craig was our realtor for both selling and buying our home. Craig's expert knowledge, professional approach and dedication made our real estate experience an extremely positive one. Craig proved to be far more than a real estate agent and we are so grateful for all his help during the always challenging process of moving. Craig was very responsive and returned phone calls and emails within minutes. Craig always had our best interests in mind on both the sale of our home and the purchase of our new home. We are so happy we chose Craig as our realtor and we would recommend him to all of our friends and family." "We came to know Craig when we purchased this home as he was the listing realtor. We were so impressed with how helpful and available he was to us when things got difficult and we were not even his clients. We decided then if we ever were to sell, he would be our realtor. We contacted Craig to list our house and he already knew of some colleagues with clients looking for a home like ours. He made a phone call, and our house sold that evening! I can't say enough about his professionalism coupled with care, concern and warm, friendly demeanor. The absolute best realtor I have ever dealt with! " "Craig is absolutely the best!!! We have used him for one "buy" transaction and two "sell" transactions over the last few years. In all cases he did a totally outstanding job..none better!! We made the mistake of listing our townhouse for sale with another agent who messed it up totally...it languished on the market for six (6) months without one offer!!! Once the listing expired we listed with Craig who sold it in only 30 days!! Amazing!! Not all agents are alike in spite of what people may say, and forget about this nonsense of selling over the internet.. It takes a person who knows the area, knows property values and brings a big dose of knowledge and respect to the table!! Craig is the absolute best!!!" "When I contacted Craig to list my townhome, It was done in such a professional immediate manner. I couldn't believe the brochure that was printed with the pictures of my home. It was beautiful!! Every showing that I had, Craig always e-mailed me with the comments of the potential buyer. My townhome sold and the closing process was as smooth as ever. Craig assisted me with correcting any deficiencies that were found during the house inspection and also helped me with replacing smoke and fire detectors. I have since recommended Craig to friends interested in selling and buying a home.Less "
"Craig pays attention to every detail from the moment you contact him to the closing. He provides so much information and is always ready to answers questions. We could not have been happier with using Craig as our listing agent. The sale of our home went very smoothly. He is top notch!" "Craig is completely focused on his clients. He responds immediately to all contacts and is willing to go the extra mile to see that things move along smoothly. Craig's attentiveness and professionalism are exemplary. We recommend Craig without reservation." "Very professional and helpful. Craig helped us sell our condo in 24 days in a terrible market. He was always on top of phone calls & emails. He comes highly recommended!" "Craig did an excellent job of going above and beyond exceeding all expectations. There is no one more dedicated to doing the best job possible to help his clients." "Craig is the BEST realtor. He goes above and beyond any realtor I have ever had. He is thorough with everything, the paperwork went seamless, the marketing was flawless. Can not say any negative comments." "We LOVE Craig!!! Craig helped us sell our townhouse and buy our beautiful home!! Craig goes above and beyond!!! I would recommend him to anyone!!" "In a time when values are dropping Craig has the ability to sell your house. He goes way beyound what other Relitors will do. He knows his market and is there to help with ANYTHING that goes down...I do mean ANYTTHING....We had some issues and Graig took care of them...I have my licence and only trust Craig to take care of me and my family...Hands down he is the Man....Check out the effort he puts into the photos of the houses he listed... He works around the clock and is an artist in his field...Kate "
"I worked with Craig for over 8 years & have kept in contact with him since. Craig can work circles around just about anyone & does a quality job no matter the task. He is a Jack of all trades & a master at all he does. Craig has been invaluable to a Charitable Organization that I am involved with -helping with our annual fundraiser & other needs we have had." "Craig has an excellent work-ethic and can-do attitude." "Craig is professional, honest, and extremely dedicated to his work and more importantly to his clients. To say that he goes above and beyond is truly an understatement. Craig's strong knowledge of the market, attention to detail, and outstanding work ethic make him the best choice for anyone looking for an agent in Hunterdon County." "Craig did a great job helping us find the right house. He was very informative about the area, and gave us great feedback about resale, schools, commute, etc. I will definitely use him again in the future." "Craig works hard to provide his clients what they are seeking in this downward economy. He is a dedicated professional, very responsible and focused. He is always willing to go that extra mile for his clients." "Craig is a true real estate professional. Craig is completely focused on his clients, and responds immediately to every contact (regardless of where he is) and is willing to go that extra mile to get the right deal. I highly recommend him whether you're buying or selling...he'll make it happen for you ." "Craig helped me to sel my Dad's condo. He works hard to do an excellent job and exceeded all expectations. I highly recommend him to anyone.."
"Craig really means it when he says that he 'does more'. He has always made me feel like a priority even with all his other listings, been there to explain the latest information, and helped market my house to the best of his ability. I would recommend Craig to anyone." "Craig is honest and knows the market and inventory very well. Hands down an awesome agent and would proudly recommend him for your next real estate investment!" "Craig has been an acquaintance and professional real estate advisor for the past 10 plus years. His guidance in both selling and marketing properties for me has been above expectations. We rarely recommend individuals on the internet, BUT this real estate professional is exceptional, well grounded and prepared to make the best marketing and sales program for your property. I recommend Mr. Craig Ort without reservations. Martha Muro"
"I have known Craig for several years now and I would proudly recommend Craig to anyone who is looking to buy a home the RIGHT way and have someone give you their honest and most professional opinion. Craig provided my wife and I with every bit of information we needed during our home search. Unfortunately we moved to PA so Craig could not sell us the house, but I can honestly say I am not fond of realtors to begin with. Craig changed that. I have been in sales for over 10 years and I know all the buzz words, tricks, and the games. Craig and I see eye to eye on our business and selling practices and his professionalism is matched by no other." "I have had the pleasure working with Craig the past five years, as well as referring him to friends and family. Craig's motto "I sell more because I do more" is an understatement. He has helped me with a rental unit, and two home sales. From beginning to end he gives 110%, and goes far beyond any other Realtor I have dealt with." "Craig put my house on the market and sold it within the week! He was able to negotiate my terms with the buyer with ease. He has a great personality, and is a pleasure to work with. When I am looking to purchase a home in NJ again, he will be the first person I call!"